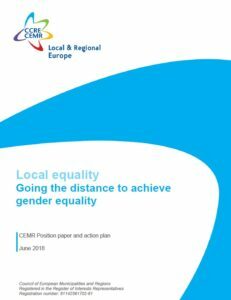 Prepared with the support and input of the CEMR Standing Committee for Equality and the expert group on gender equality, this position paper and action plan (adopted in June 2018) is addressed to CEMR’s member associations, local, regional and central governments in Europe, the European Commission, the European Parliament, the Council of the EU, the Committee of the Regions, the Congress of Local and Regional Authorities of the Council of Europe. It also outlines a number of actions to which CEMR commits itself in order to further gender equality over the next several years. Progress on gender equality is happening at a “snail’s pace”. According to the 2017 World Economic Forum’s Global Gender Gap Report, at the current rates of change it will be another 217 years before we close the gender gaps in education, employment and politics. In light of this stagnation and recent developments, such as the global #metoo movement that has shed light on widespread subordination, verbal abuse, sexual harassment and assault suffered by women in all spheres of life, CEMR is motivated to ramp up its commitment to gender equality and adopt this position paper and action plan. Part I outlines the position and expectations of CEMR and its member associations as relates to gender equality. Part II lays out the commitments that CEMR and its national associations make to promote gender equality, within their own organisations, and in their lobbying and knowledge exchange activities in the coming years. 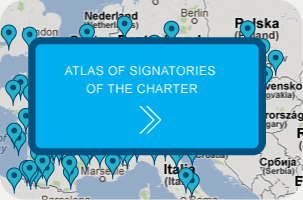 Taken together, the position and the action plan aim to: strengthen gender equality and gender mainstreaming within CEMR and its national associations, consolidate CEMR’s advocacy position towards EU institutions, press for increased financial support for the European Charter for Equality of Women and Men in Local Life and its online Observatory, and to increase awareness of and support for the European Charter for Equality and the pivotal role local and regional governments play in advancing gender equality.